Educational metadata provide learning objects and designs with required information that is relevant to a learning situation. A learning design specifies how a learning process involves a set of people in specific groups and roles engaging learning activities with appropriate resources and services. These elements are usually described by using structured primitives of an Educational Modeling Language. Metadata records must explicitly provide a representation of the flow of learning activities and how learning resources and services are utilized. We have analyzed a number of common workflow patterns in order to extend current Educational Modeling Languages’ primitives used in complex learning flows. 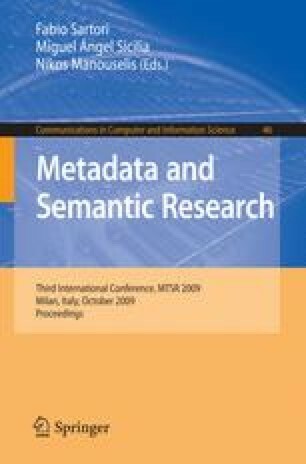 The information model of the Learning Process Execution and Composition Language is used as the basis to extend structured metadata required by such learning process descriptions.